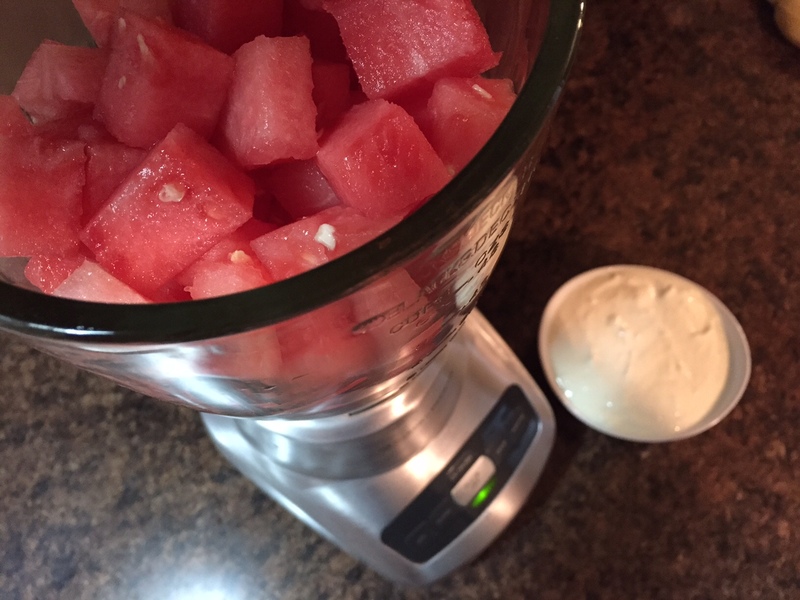 NEW YEAR’S RESOLUTION UPDATE: FROZEN WATERMELON SMOOTHIE POPS - What About Watermelon? Following my New Year’s resolution to create fun recipes containing watermelon has really allowed me to tap into my newfound love for cooking. Not that I disliked cooking in the past (really, I just like the end result, which involves me getting to eat the food), but I never really spent time honing my love for culinary creations. Now I’m constantly leafing through cooking magazines at the grocery store, searching for some inspiration, even though there are still some recipes that are too complicated for me. Nonetheless, this journey has made me a much better cook, which my wife is very happy about. 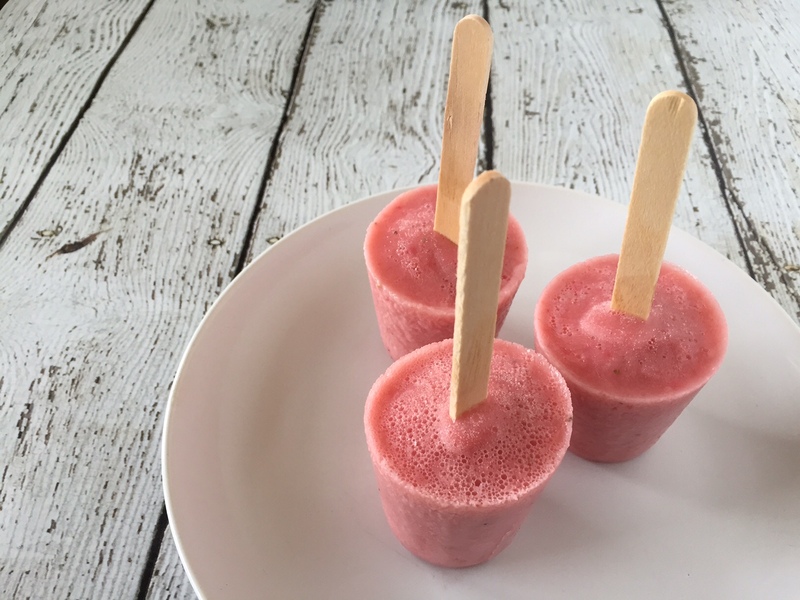 For this month’s creation, I made these Frozen Watermelon Smoothie Pops that were featured on the National Watermelon Promotion Board’s recipe page. 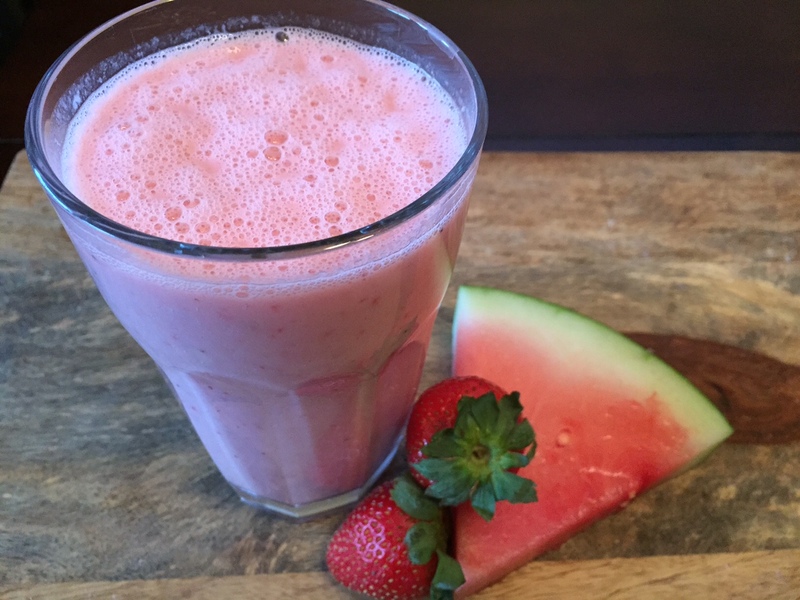 The recipe features instructions for a Strawberry Shake, which you’ll use to create the Frozen Smoothie Pops. 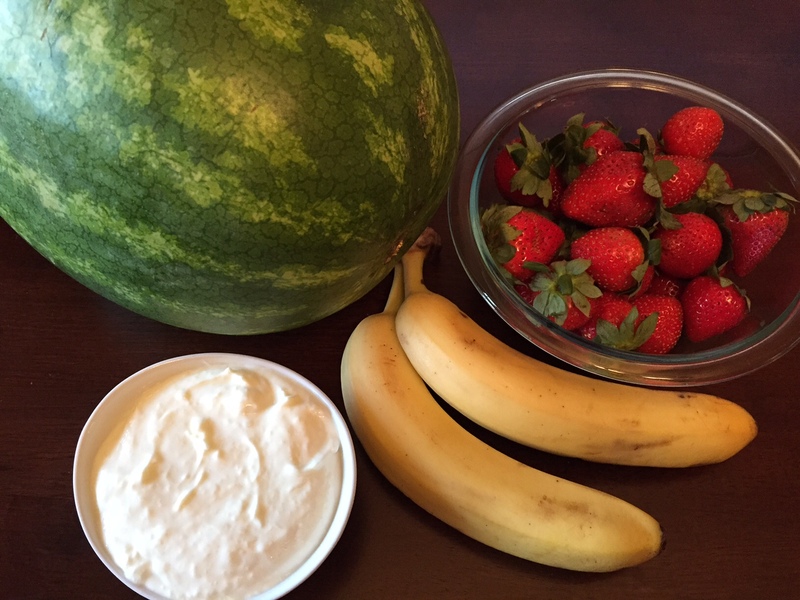 For the shake, you’ll need lemon nonfat yogurt, watermelon, some fresh strawberries and a banana. Throw all of those ingredients into your blender or food processor, and blend together until smooth and frothy. The mixture smelled so good that I almost drank the shake before making the pops! At this point, you can stop and just have yourself a delicious smoothie (which I did) or you can pour the mixture into small cups to make popsicles (which I also did). After you put the little cups in the freezer, set a timer for an hour or so to let you know when to insert the popsicle sticks. After three or four hours in the freezer, my Watermelon Smoothie Pops were ready to eat! We’ve already eaten half the pops, so I guess I’ll have to whip up some more!